Here at Serendipity Farm, we raise domestic rabbits for meat and fiber. Our rabbits spend their time in either roomy cages inside our barn and/or outdoor runs where they can nibble on grass and enjoy the fresh air and sunshine. Their diet consists of natural plants foraged from our land, locally-sourced hay, and high quality pellets. Our meat rabbit breeds are Crème D’argent and American Chinchilla, both heritage breeds. Rabbits are humanely butchered here on our farm. They are available whole or quartered and priced by the pound. We also provide chicken and duck meat for sale. Pedigreed breeding stock is available occasionally. We also raise French Angoras for their beautiful and soft fiber. Most of the angora fiber produced by our rabbits is blended with wool and/or alpaca and spun into yarn, though we do have raw angora fiber for sale. TRACTOR Food and Farms is a group of over sixty small family farms nestled just outside of Asheville in Burnsville, NC. We help support local agriculture and provide you, area restaurants and local grocery stores with a diverse selection of fresh produce. TRACTOR – bringing local farms to the table. Mountain Gardens is a botanical garden of useful plants grown ecologically and arranged ornamentally. This two and half acre display garden incorporates over 500 species of plants, including native and oriental medicinal herbs, perennials, food and craft plants, sacred and magical herbs, and useful weeds. Visit the herb shop pharmacy, and extensive library, and see examples of alternative building and energy. Visit website for more information. 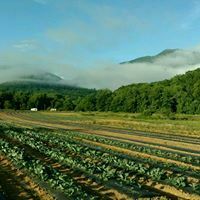 Open Ridge Farm is a small (3.5 acre) permaculture-inspired farm in beautiful South Toe Valley, along Rock Creek. We currently offer organically grown annual veggies, herbs, asparagus, apples and grapes, as well as world-famous home grown line of 3 hot sauce. We are in process of installing a diverse orchard of fruits, nuts, and berries. Our Farm Kitchen is open where we will host family-friendly events such as tastings, dinners, movies, workshops and other events. Find us on Facebook to hear about events, or at the Yancey County Farmers Market on Saturdays. Locals can sign up for our twice-weekly farm pick-up.